Sharon Abosede Onojeta, born into the gospel by a dedicated and committed Preacher in the early 80s, is a committed wife and a mother of two amazing boys. 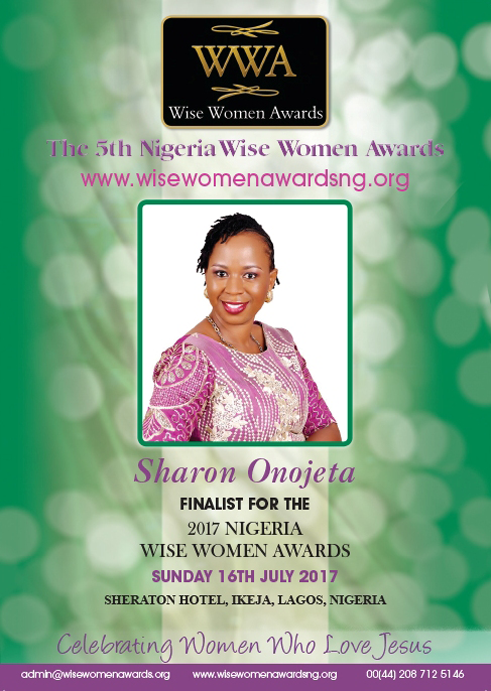 She is passionate about holding up the values of the virtuous woman as elucidated in Proverbs 31. She is a graduate of Business Admin whom God is using today to assist wives understand what the bible says about being a good help mate. Sharon went through the typical initial ups and downs in early marriage because as usual, she was not fully trained in the areas of marriage before going into marriage. Today, she is helping other wives understand that they have a huge role to play in order for them to have a beautiful marriage which we all desire. Sharon is the founder of a group on facebook called Wives in Touch, with 17k members and still counting. It is a platform where wives are taught how to make their homes better as well as helping them unlearn the wrongly proclaimed standards, ideas and habits the society has taught them over time through her daily post, monthly assignments and one on one counselling sections online. The group also assist wives learn new practical business skills that can be turned into businesses to generate income for them. Upon the instruction from God to start the group, Sharon was reluctant, because she felt she was not qualified to anchors this group on behalf of God. Today, she works for Wives In Touch With God full time without pay. Sharon is a woman on a mission.